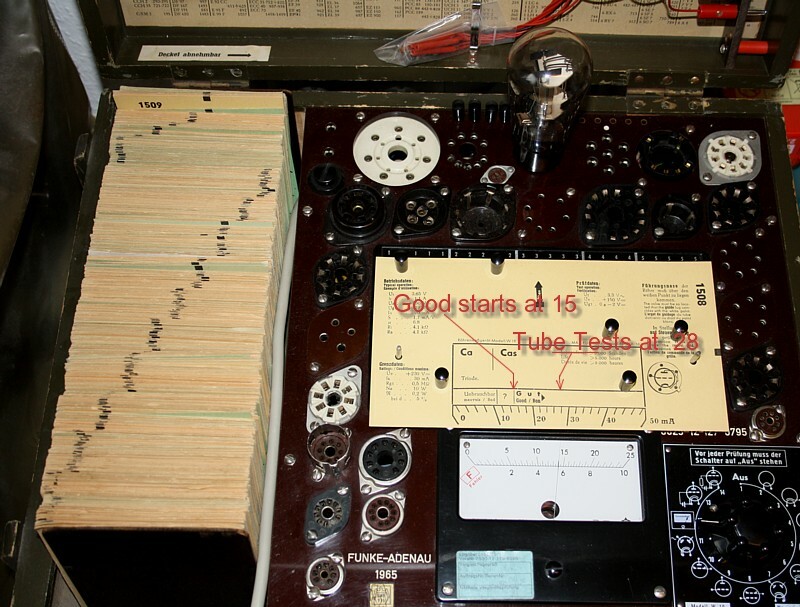 These are at a good place here, because today's application is to triode connect those. This is a very nice looking pair. Fully identical looking, test fully identical and extremely strong. Wow!!!! 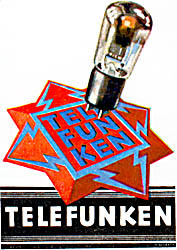 211 or 845 are toys compared to those old Telefunken jewels. 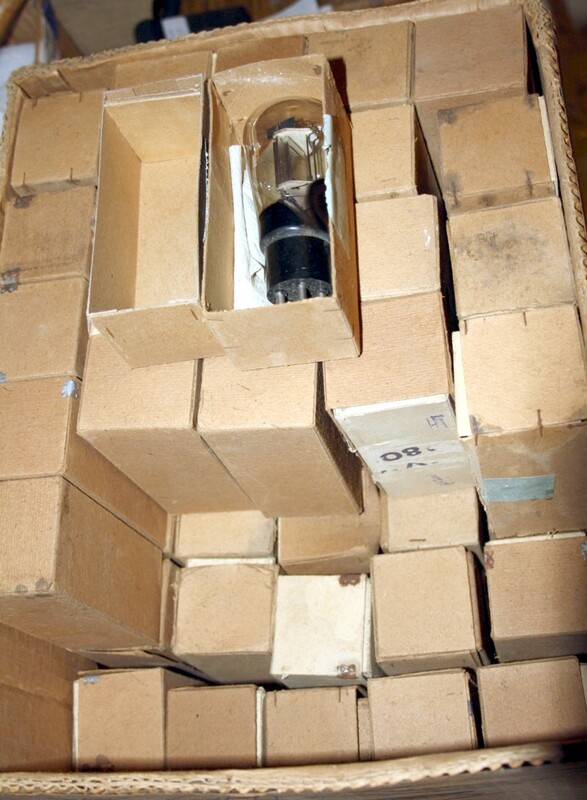 Both tubes are believed to be NOS. Very linear Audio triodes. Horizontal plates. Socket available. Mint items, Silver top getter. White box. Very linear Audio triodes. What is this? 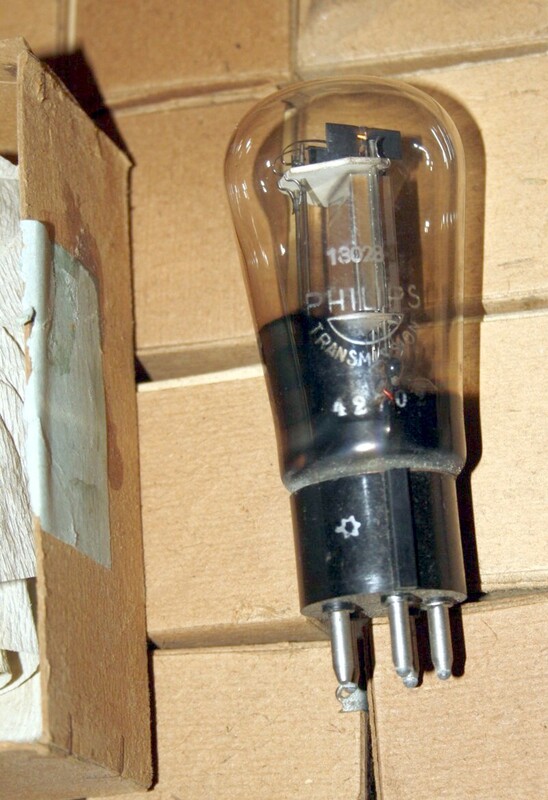 The tube A410 can replace RE084. This type is equivalent to RE134. Same glass shape. Heavy looking tube. This is re based MULLAR UK tube, with a B4 socket, and it is fully equivalent to RE134. 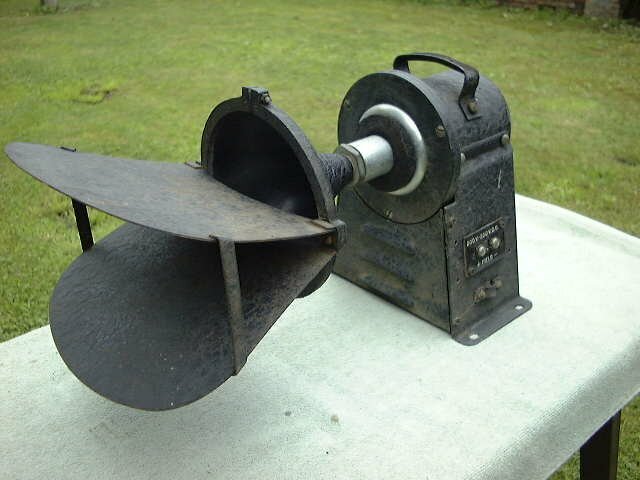 New arrival, need to make a picture. Sorry only one piece. 70 years, and untouched. ORIGINALLY SEALED BOXES. When you are interested in those, we have two possibilities. 1) you can buy them closed "as is" without guarantee for what's in the boxes. 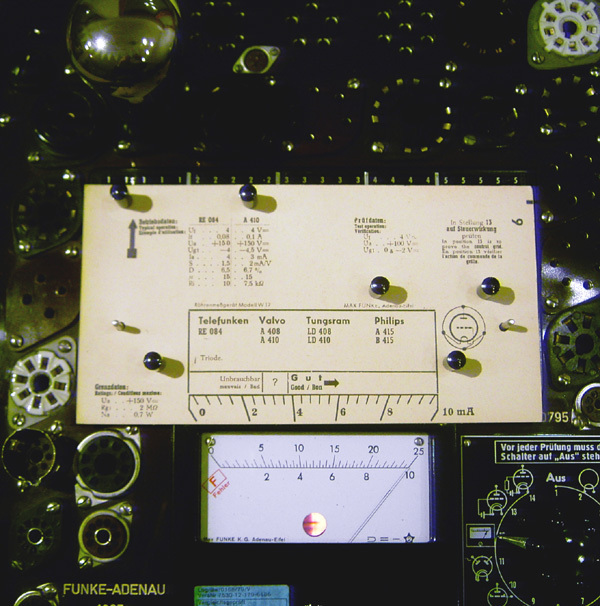 2) We open the seal with a razor blade, and you only take them when the test values are good on the Funke W19. So we leave this up to the buyer. All we do for now, is picture the boxes from all (6) sides. 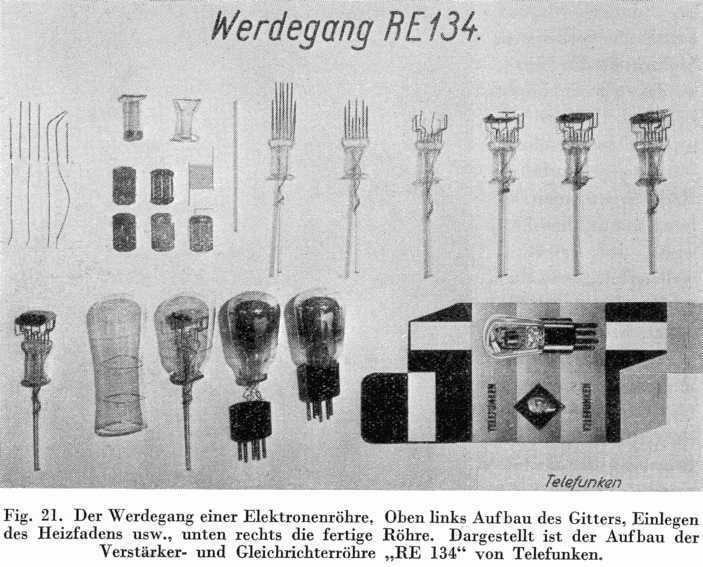 RE134 (NOS) is the rarest, best and most sought of RE-driver tube, or head phone SE tube. Clean boxes and made on the same day (Aug. 13th. 1937). Pic1, Pic2, Pic3, Pic4, Pic5, Pic6. Sorry for the price, but we will never find this again. RE134 gives 1 Watt SE, at 3400 Ohm. Sorry, this pair is sold, but we leave them in for the nice pictures. Original very old card box. 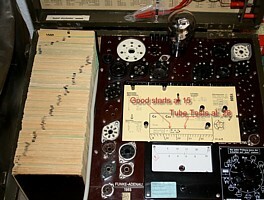 Most have date code 1945 and VALVO Hamburg stamped on the box. 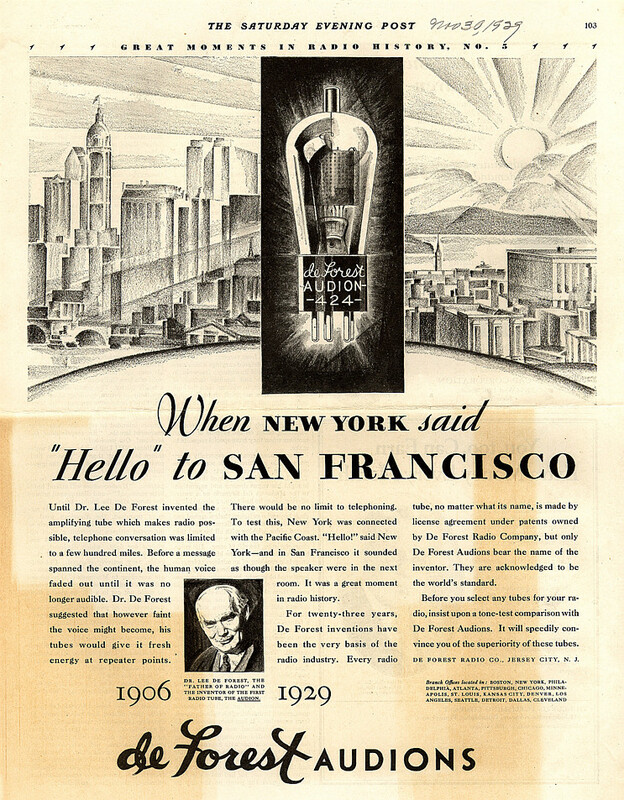 This shows once more the close relation between Philips and Valvo Hamburg. These are identical to the RT France PTT3. Thanks Aaron Karmelk for this information! They have a five-pin Siemens socket (same as German Post tubes). The fifth pin is used for socket shielding, same as the "red" painted Philips tube all have. So very nice for HiFi. I have gorgeous wooden Sockets from Yamamoto, gold plated for this tube. 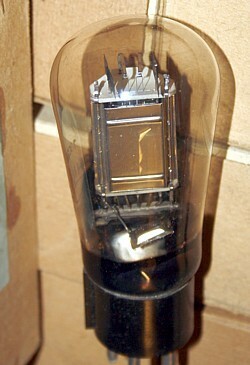 This tube is a nice linear Triode, in globe bulb. It tests perfectly at RE134. Gain, Bias, transconductance, plate impedance, and tube curves, it is all the same!! However 18028 maximum plate dissipation I think must be higher than RE134. Moreover, 18028 has a ground pin. This is actually a metal ring inside the tube socket, and it acts as a ground shield nicely. 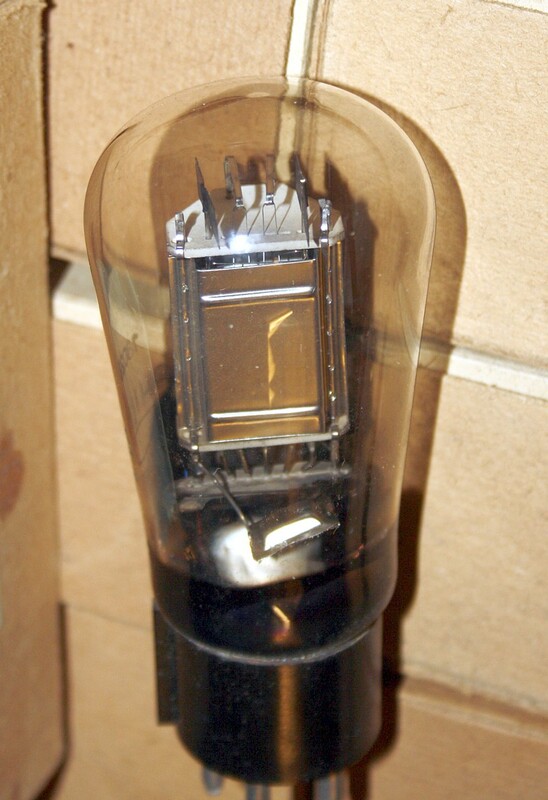 As you know, 18028 is a triode, so it has four pins, and the fifth pin of the socket is used to provide the shield connection. So the shield is optional, but it is a good idea to use it. Just connect it to one of the socket screws, with a short wire, and it will be electrically grounded that way. A VERY nice tube to work with! 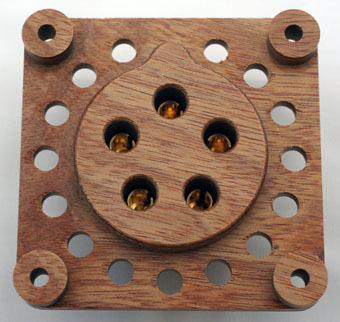 Use the nice Yamamoto wooden sockets, made of epoxy treated wood, and gold pins. They are not even so expensive.